It’s Wool Week, guys! The Campaign for Wool was begun in 2010 by the Prince of Wales to enhance consumer awareness of wool products. As knitters, we all know that wool is wonderful, but the market had gotten to the point where it cost more to shear the sheep than the wool producer was earning for the fleece. This campaign is mostly about spreading the word about the benefits of wool for clothing, production, and for the environment since it is a truly renewable resource. People all over the world are doing crazy things like parking a flock of sheep in the middle of Manhatten for a week, and I kind of love it. Wool is a natural insulator, wicks away moisture, can absorb 30% of its weight in water (while cotton can only absorb 15%), and maintains warmth even when wet (which cotton and synthetic fleeces can’t do). Wool repels water, mold, mildew, dust mites, and body odor so woolen fabrics stay clean longer. Wool fibers are durable and elastic. They can be bent back on themselves thousands of times more than any other fiber and they hold their shape well in garment form, bouncing back if they become stretched out. Wool is fire retardant, unlike acrylic (derived from petroleum) which melts entirely. Wool self-extinguishes once the flame is removed. Sheep grazing can be used to control invasive plant species in place of costly and environmentally damaging herbicides. Cotton clothing is cheap so people tend to toss out old clothes and buy new ones regularly, which is extremely wasteful. Wool clothing lasts longer and wastes less resources. Wool naturally decomposes, unlike synthetic materials which take hundreds to thousands of years to break down in the environment. Many of the factoids I listed came from the Campaign for Wool website as well as from “Sheepish: Two Women, Fifty Sheep, and Enough Wool to Save the Planet” by Catherine Friend. The book is an excellent read with lots of interesting insight into the author’s transition from city living to raising sheep. It will change the way you look at wool, which I think is a good thing. 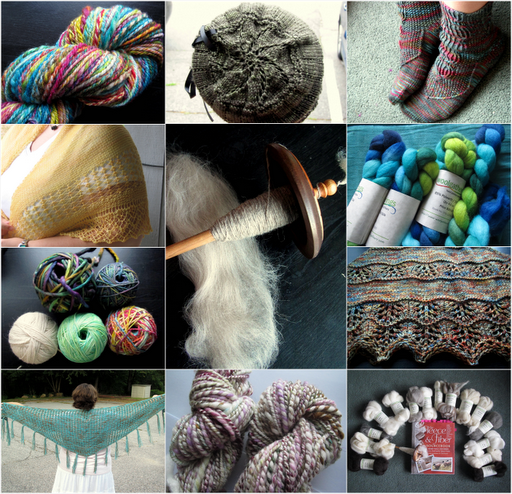 This entry was posted in blogland, sheep, yarnaholic by shoelaceswitcher. Bookmark the permalink. It is absolutely beautiful, isn't it wonderful that you have millions of people who agree with you? I actually didn't know several of those facts, I definitely learned something new, thanks for posting! Lovely photo montage. Thank you for sharing all the amazing wool facts, I never knew a lot of those but it does make me so much more aware. I don't really think about stuff like that when I buy wool, but now maybe I will. I love working with it so much!